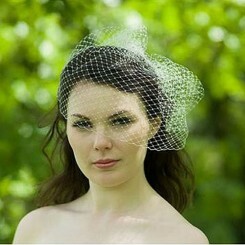 The Lace Wedding Veil S100/2 is a beautiful bridal veil made from soft tulle for a graceful drape. 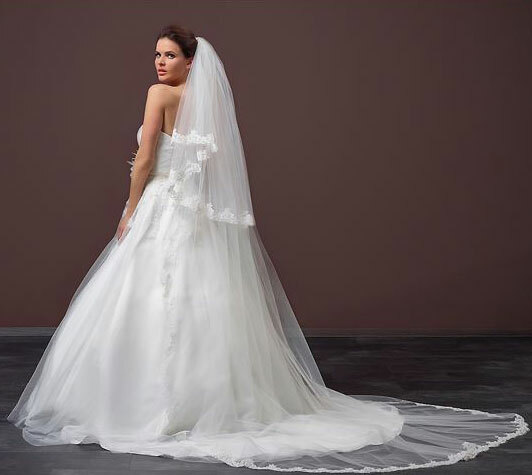 The veil has two layers of tulle, each trimmed with a luxurious embroidered French lace edging. 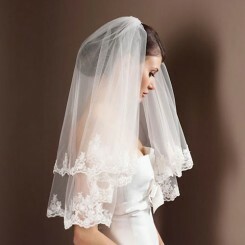 The two layered design of the veil means it can be worn over the face as you walk down the aisle. 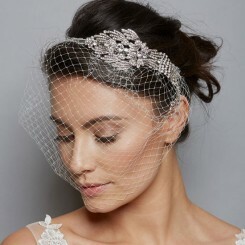 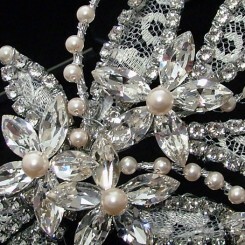 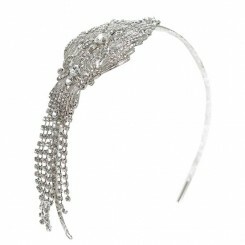 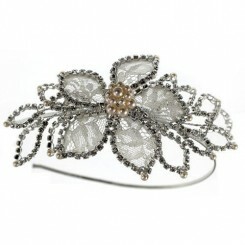 This gorgeous wedding veil is perfect for adding a touch of romance to your bridal look. 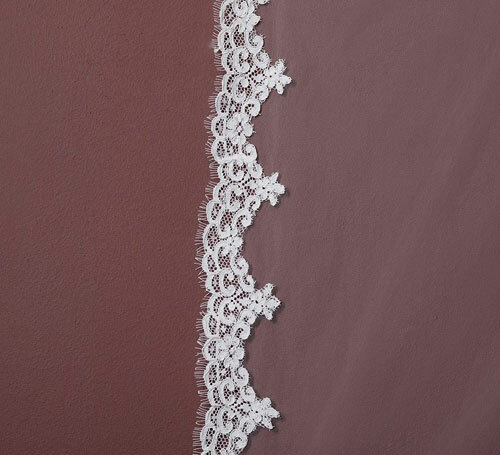 The lace wedding veil s100 is available in a variety of lengths ranging from 75cm (approximately waist length) to 280cm. 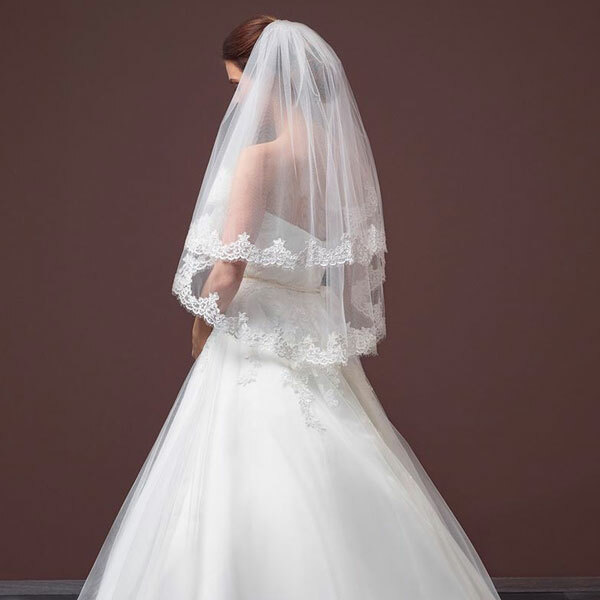 A long wedding veil looks wonderful over a gown with a train but is also an excellent way to add a soft ethereal look to a simpler gown that may not have a train. 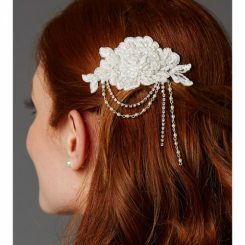 The beauty of a using a long bridal veil in this way is that you can wear it for the ceremony and then remove it for your reception so you can dance! 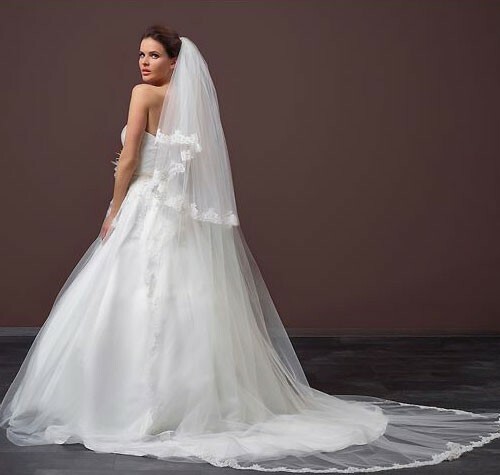 Please note that the lengths shown on the models should be used as a guide as the drop of the veil is dependent on each bride’s individual height, proportions and where the veil is positioned on the head. 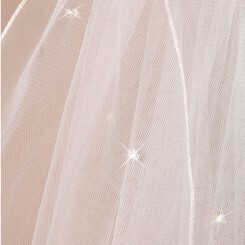 This style is also available as a one layer veil in the 280cm length. 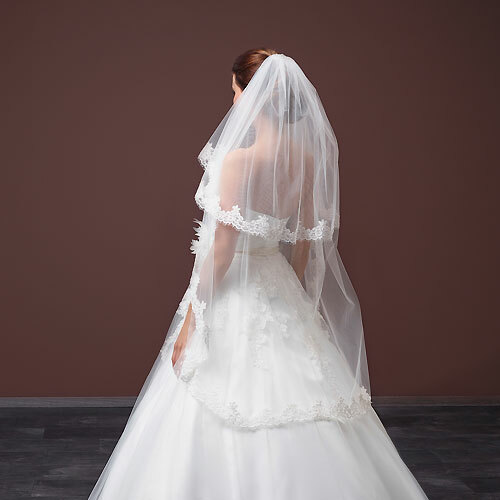 The first three photos show the veil in the 75cm length. 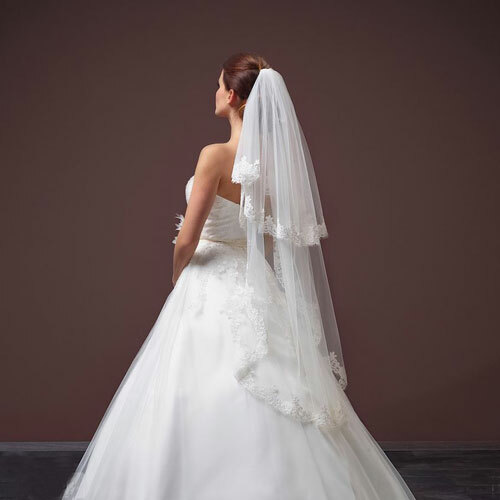 The fourth and fifth show the 120cm length while the sixth picture shows the veil in the 280cm length. 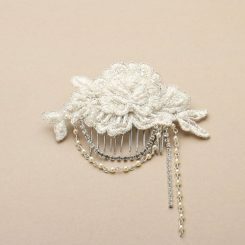 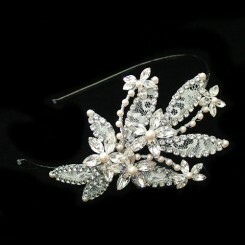 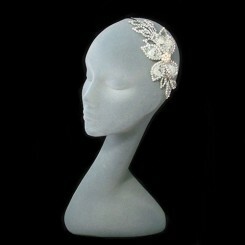 Lace Wedding Veil S100/2 is only available in ivory.